As hard as exercising with your kids can be, it can also be one of the most beneficial things you can do for them. 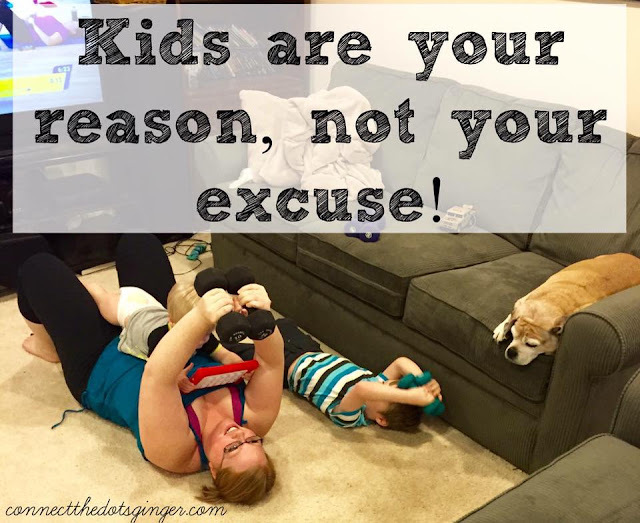 Not only are you teaching them that exercising is fun, or can be fun, especially if you make it a game, that it is good for your body and you are teaching them the importance of doing things that are hard and not stopping. Who thinks exercise is easy??? If it is, then it's time to bump up what you are doing. Exercise is meant to challenge your body and mind. Think about it. How accomplished do you feel after a workout that you struggled with. One that you wanted to quit, but you didn't. You are teaching your kids that no matter how hard things get you keep going. That is what counts. That is what matters. Remember, that you are setting the example for the future generation. With so many electronics that kids have access too they are so much less active than 2 decades ago. 1 in 3 kids is obese. There are so many ways to become more active with your kids. There is a whole channel on Beachbody On Demand with workouts for kids. And there is a brand new program to be released this year with a focus for kids as well. Want more info about the new workout program to be released later this year? Send me an email or message on Facebook and let's chat!